Only 9 Base models left in stock! New vehicle pricing includes all offers and incentives. Prices shown do not include taxes or license. Actual vehicle/accessory costs, labor and installation vary. Dealers set their own prices. Please consult your selected dealer. Vehicle shown may differ from actual vehicle to be sold. While great effort is made to ensure the accuracy of the information on this site, errors do occur so please verify information with a customer service rep. This is easily done by calling us at (631) 366-6000 or by visiting us at the dealership. 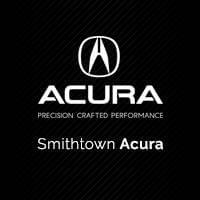 At Smithtown Acura, we center everything we do and every decision we make around the needs of the customer. Acura models represent something a cut above the average, so that’s what we provide for everyone who walks through our doors.